David Pawson occupies a key position among British Christian writers. His best known work, Unlocking the Bible, continues to be a worldwide bestseller in print, audio and video formats. 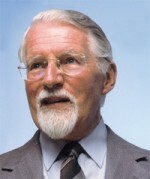 Unlocking the Bible and other works such as The Normal Christian Birth have been called Pawson’s legacy to the church.